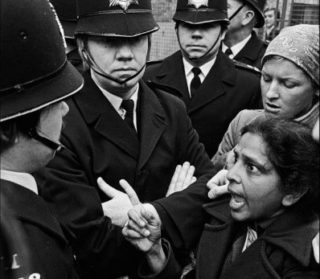 In 1978, Jayaben Desai led 100 mainly South Asian women in a dispute against the Grunwick photo processing factory in Willesden, North London. Here’s how Jayaben became a heroine in trade union history. Many Grunwick workers – Jayaben Desai among them – had been part of well-off South Asian communities in the British colonies of Tanzania, Kenya and Uganda. When those countries became independent, South Asians faced discrimination and many chose – or were forced – to leave. They arrived in England with few prospects and took whatever work they could find. Grunwick took advantage of this. Pay was low and so was management’s respect for the workers. They even had to ask for permission to use the toilet. 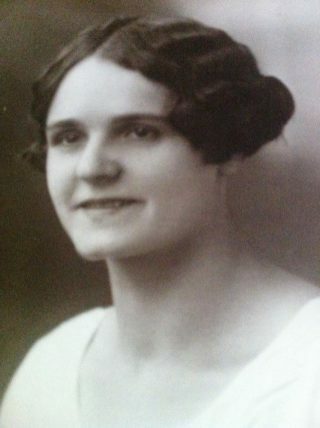 Mrs Desai and her fellow strikers joined APEX (the Association of Professional, Executive, Clerical and Computer Staff) and demanded that Grunwick recognise their union. Their bosses responded by sacking them. Grunwick was a mail-order company, so bosses were furious when the Union of Post Office Workers boycotted their mail. Thanks to Mrs Desai’s dynamic leadership, support for the Grunwick strikers was huge – by June 1977 over 20,000 people were joining them on the streets of Willesden. Police presence was strong and increasingly aggressive. Apparently Thatcher, then opposition leader, called Grunwick boss George Ward “a champion of freedom”. A Labour government inquiry recommended that the Grunwick bosses should recognise the trade union and give the workers their jobs back. But Grunwick wouldn’t back down and the House of Lords upheld the company’s right not to recognise the union. With support faltering, the strike was called off on 14 July 1978.